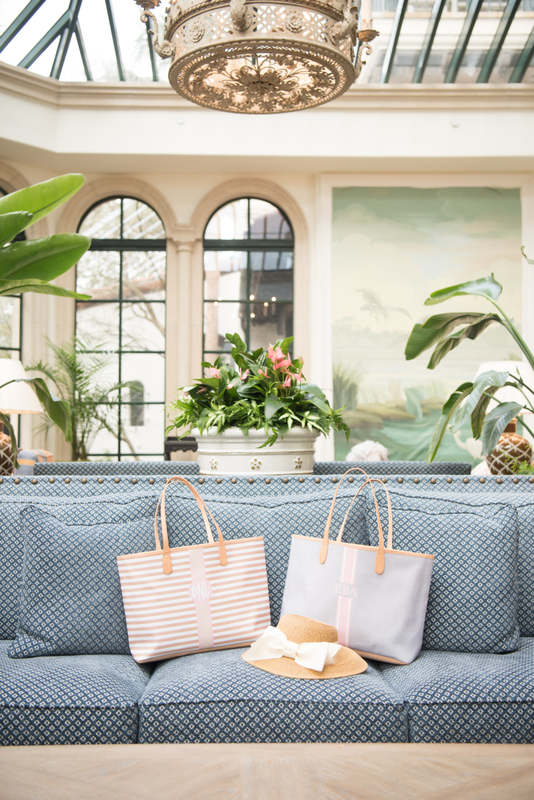 Our favorite bag of choice when we are traveling is definitely a tote. 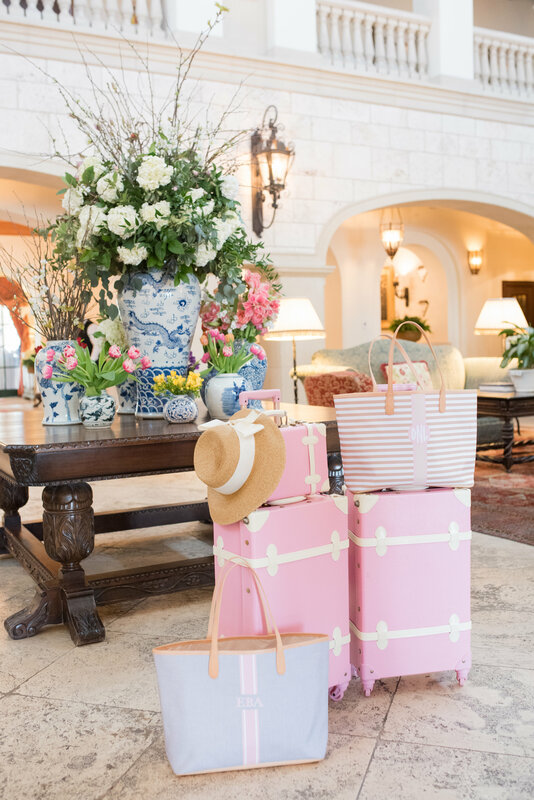 We are frequently in and out of our bags when we are at the airport or on road trips and are usually toting around extra goodies for the kids, so an open, oversized bag definitely works best for us! 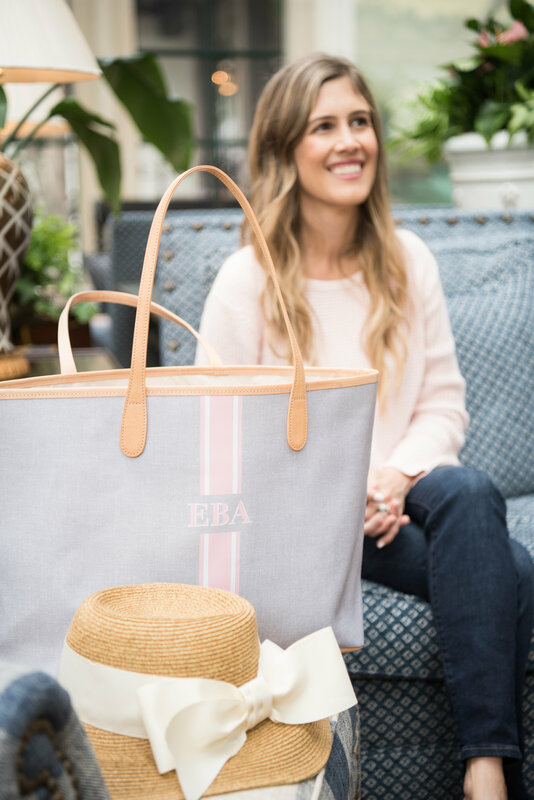 We were recently introduced to Barrington Gifts – a luxury bag and leather goods company that specializes in personalized products – and our interest was piqued. 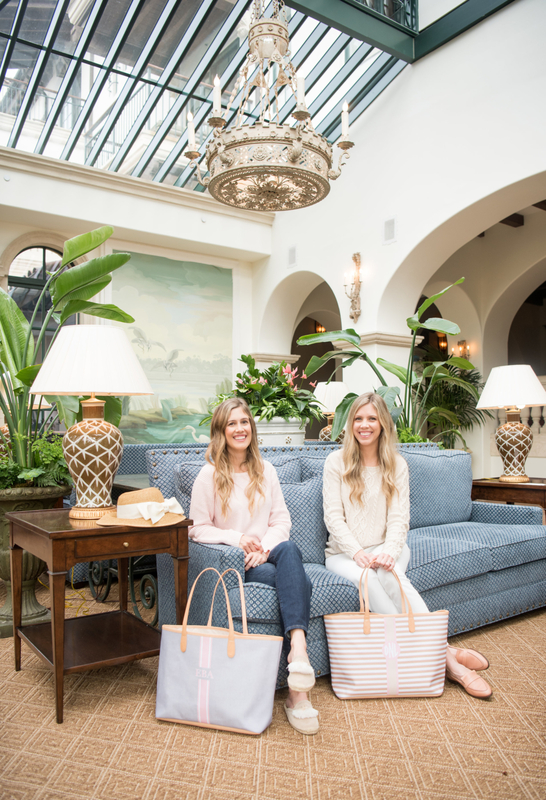 We designed a couple of totes for our recent trip to Sea Island and can’t wait to share how we used them! 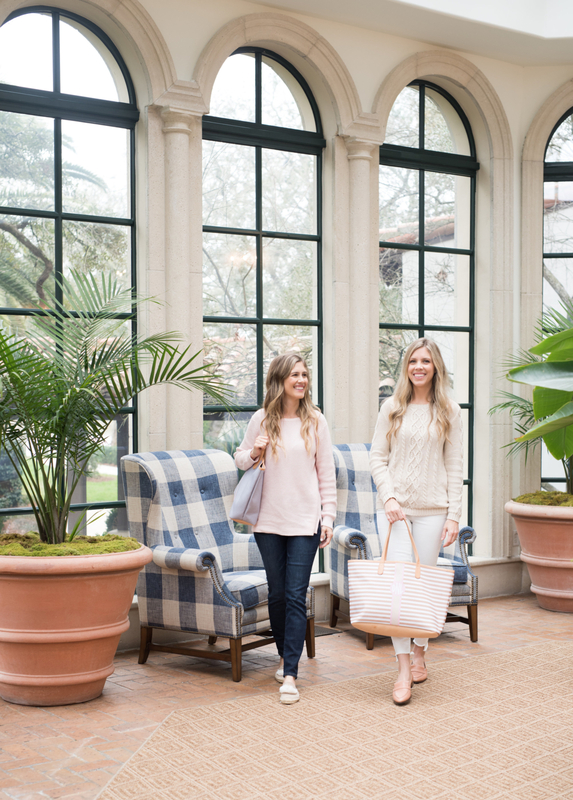 Beth: Their St. Anne Tote is our favorite style, and we had fun browsing through all of the different colors, patterns and monogram options to create our own designs. 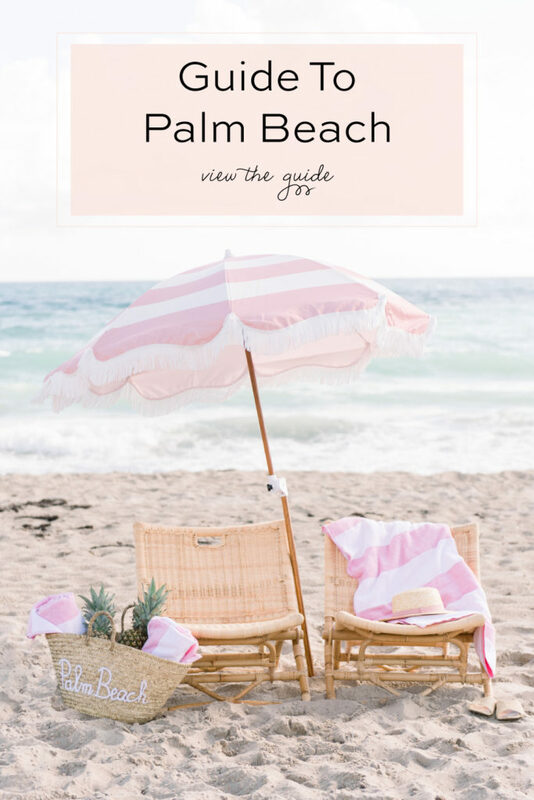 My favorite colors are blush and grey, so I went with that color palette knowing it will go with everything I own. On vacation, it was the perfect tote for tossing in my sunhat or extra diapers for my daughter, yet still easy to find small things like my room key! 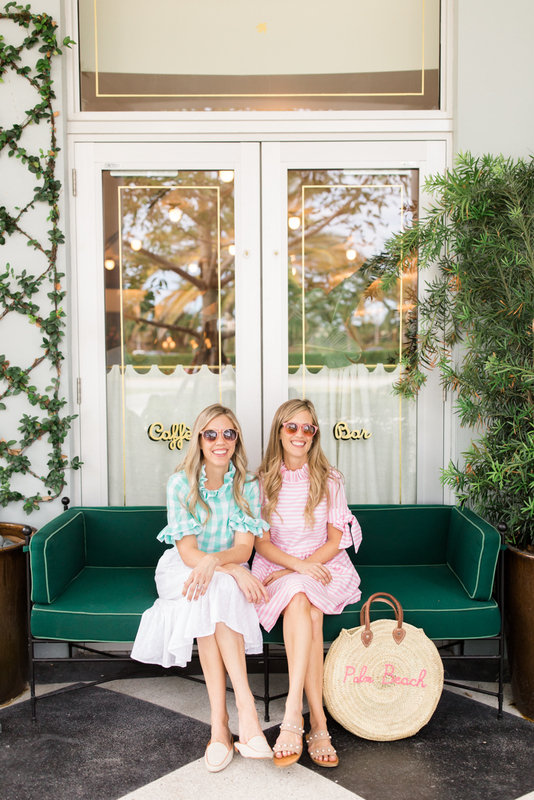 Danielle: I am always on the lookout for totes that have lots of character, but will still match almost any outfit I put on for the day. 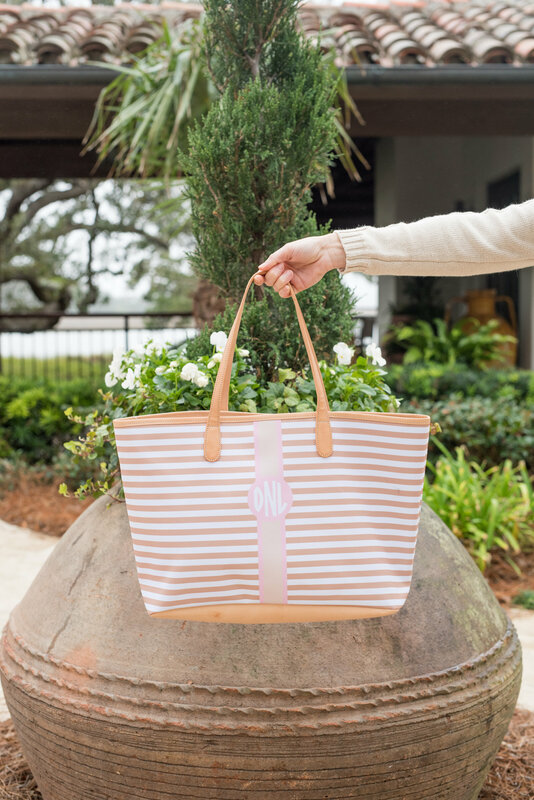 With that in mind, I decided to go with a classic tan and white stripe with a blush monogram on their St. Anne Tote. The subtle stripe went with all of the outfits I packed for the trip and the style was easy to load and unload throughout the day. I used the tote for the entire trip and am still using it as my everyday bag now that we are back home! We also love that we can add other pieces in the same patterns to our collection, too. The matching Cosmetic Kit, Passport Case and Cabin Bag all look lovely to create a complete travel set. 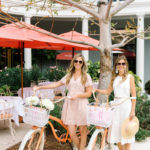 Barrington is also known for creating perfect gifts, so it’s a great brand to keep in mind for birthdays, weddings, anniversaries and other special occasions! 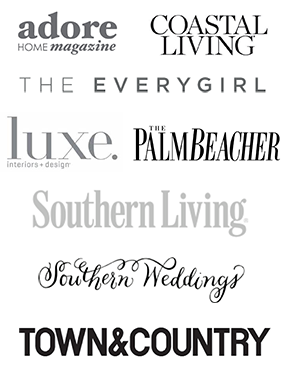 *Thank you to Barrington Gifts for partnering with us on this post! 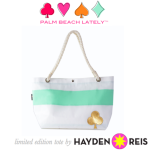 Introducing Palm Beach Lately’s Limited Edition Hayden Reis Tote! 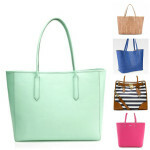 Style: Totally Obsessed With Snazzy Summer Totes!